By: Tim Winter | Last Updated: Aug 11, 2018. The iconic bubble shape of the standard goldfish bowl has been for years the go-to home for a new pet goldfish. It’s the image almost everyone associates with a first time fish owner. There are a few reasons for this connection. The first relates to a common misconception that people make by associating the small physical size of a goldfish bowl with it being easy to maintain. The other reason relates to the goldfish and the fact that most are rather inexpensive. This unfortunately makes it easy for people to not put a high value on the life of one. In the event it dies by improper care of an inexperienced owner, they can simply go purchase another one for less than a dollar. Many pet goldfish do not live as long as they should. Goldfish have the potential to live for a decade or more not a year or even just months. The cause of this shorter lifespan is due to improper care. Two common mistakes include overfeeding and infrequent water changes. A basic rule on the amount of living space your goldfish needs to stay healthy is 20 gallons (75 liters) or so per every one adult fish. Realistically though, not everyone is going to have a 20 gallon goldfish bowl with just one fish in it? They can survive in a smaller size tank, but, it can stunt their growth and will shorten their life-span if you never upgrade to a larger living space as the fish grow. You need to upgrade when the get bigger! Additionally, a small bowl will require a lot more maintenance to keep the bowl clean and the goldfish healthy. Read about the nitrogen cycle or the next beginner post on Goldfish Bowl Water for more info on water quality. The more goldfish you have in a tank, the more oxygen that is required to keep them healthy. Try adding an air pump to agitate the surface of the water. The air bubbles don’t actually add oxygen but the agitation of the surface will help. The best solution on maximizing oxygen in the water is to follow the rule of the greater the amount of surfaces area, the more oxygen in the water. For this fact, choose a wide goldfish bowl over a tall narrow one. If you have the classic bubble shaped goldfish bowl, don’t fill it to the top since filling it to the top doesn’t provide the most surface area. Understand that more surface area is better than more water when it comes to your goldfishes health. If you fail to provide enough oxygen your pet can suffocate and die. If you choose to keep your fish in a small goldfish bowl instead of a larger aquarium or pond, you will have to change the water almost daily. This is because goldfish in general produce a lot of ammonia waste. You can limit this by not overstocking, overfeeding or leaving waste to rot.If are thinking about adding an algae eater, you will need to provide it space to live and grow too. You will also need to keep the water around 77F/25C, which is too warm for for goldfish ideally prefer. For these reasons, don’t add an algae eater. It’s not necessary anyways. To clean the water take out 50-75% of the goldfish bowl’s water and replace it with clean water that contains no chlorine. You can add a few drops from a dechlorinator to remove any chlorine from the water. If you are careful and act quickly to do the water change, you can probably leave the goldfish in the goldfish bowl you are cleaning. During this time you can scrub off any algae with a clean rag with no chemicals or detergents in it. We recommend an algae scrubber that you can get from your local pet store. Lastly and importantly, add a drop or so of water dechlorinator (Read the instructions on the bottle for exact measurements). Note that a little bit of algae in a tank is a good thing. It adds oxygen into the water and provides a good source of snack food for your goldfish. There are dozens of types of goldfish food on the market today and they come in a variety of forms and ingredients. Goldfish are omnivores which means they eat both plants and animals. However, they are mainly herbivores and shouldn’t only be fed animal products. Many hobbyists only buy and use one brand of goldfish meal and their pets live long lives. However, by mixing in several types of diet options, it ensures that the fish get a well balanced diet. Goldfish are cold blooded which means they don’t need as much food as warm blood creatures. Since gold blooded animals don’t need to use energy to heat themselves up, they can go much longer without being fed. A fish could go a week or longer without eating. They will be hungry but not starving. A fish won’t shrivel up and die, but, they will stop growing during that time. When it finally starts eating again, it will begin to grow. Underfeeding is rarely the cause for concern, it’s overfeeding that causes the most problems. Often those problems include constipation and swim bladder problems.Here is the rule of thumb for feeding; only feed them as much food as they can eat in 2-3 minutes. Over feeding can be fatal because goldfish are opportunistic scavengers and will continue to eat as long as there is food in the tank. This can lead to a burst intestine. That means they die. Over feeding will not make them grow faster; it is more likely to kill them. If you want them to grow, give them plenty of space to grow and maintain the health of the tank. There is no clear answer to this question. In the wild, these fish eat tiny meals throughout the day and are healthy. Smaller meals more frequently are easier on the digestive tract. Small meals include a few flakes or pellets per fish. 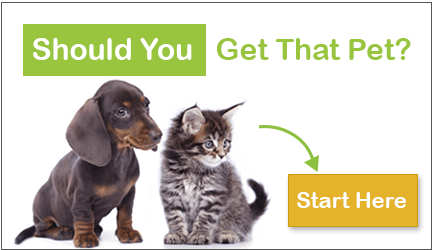 Observing behaviors during feeding time will help owners know if their pets need more food. If the goldfish appear to still be in a frenzy when all the food is gone, they might need a bit more next during the next feeding. It’s important to observe all of them individually to see if they are getting their fair share. That’s good goldfish care advice to follow. Don’t attempt to pick up or handle your goldfish because it will rub off the protective slime coat layer which helps the fish stay healthy. Constipation: Symptoms include the fish floating on its side on top of the water, or it has a swollen belly. The Cure is to add greens to it’s diet, Peas are a great food to include in their diet. It helps like a laxative. Live plants will also help with this problem.Swim Bladder: Symptoms include an inability to stay upright. the goldfish might face downwards, on its side or even upside down. It is not to be confused with constipation but treating the goldfish with the same methods as stated above can help minimize the effects of swim bladder. There is no cure to swim bladder as it a genetics problem. read more about swim bladder diseaseIch or Ick: Ichtyopthirius Symptoms include white spots on the body or fins and sometimes rapid gill movement. Cure it by cleaning your tank entirely (to remove the parasite that may be growing) and contacting your pet store for for Ich medication. However, those can be rough on goldfish so try using salt at a level of (3 teaspoons per gallon). Not all fish can handle this so make sure you only treat your goldfish.Ammonia Poisoning: Symptoms of this include black and burned looking skin, especially on the tips of the fins. The first thing to do is to immediately perform a water change. You might then add a medication that helps promote healing of the protective slime coat. Next, buy an ammonia test kit to help you know when you need to change the water. Often in a bowl, you will need to change the water a few times a week or more. 43 years is the record for the longest life span of a goldfish. The maximum length of a goldfish is 23 inches. Goldfish can’t close their eyes. They do in fact sleep, just not like we do. Goldfish do not have a memory of 3 seconds; it’s more like three months. You can train a goldfish to memorize colors and shapes. Fact: According to Wikipedia, there are over a 300 goldfish species. 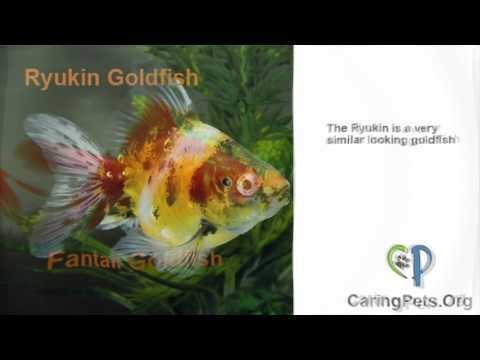 See some of them in our identification video or read about it on our goldfish breeds article, Right Here. Q: How much can a goldfish weigh?A: Fully grown goldfish can weigh up 10lbs (4.5kg) but that is rare. However, it’s not unrealistic for a goldfish to be 5lbs (2.25kg).Q: Do goldfish have ears?A: Goldfish do have ears but not like you and I. They have internal ear bones called an otolith that can feel vibrations. Avoid tapping on the glass since it will stress or even kill them.Q: Do goldfish have lungs?A: Goldfish do not have lungs. Goldfish breathe by drawing in oxygenated water through its mouth. It then closes its throat and forces the water through gill openings where the oxygen in the water is absorbed (inhales) into the fish. The water is pushed out through the gill openings, taking with it the (exhaled) carbon dioxide and ammonia. The gills in fish are the equivalent of lungs in humans. Oxygen gets inhaled through tiny membranes in the lungs or gills and CO2 (and ammonia in fish) is exhaled.Q: What is the coldest water temperature a goldfish can survive in?A: The common goldfish can survive in an outdoor pond where water temperatures dip down below 40*F (5*C). They will go into a semi-hibernation by sitting, not really moving much and not eating down at the bottom where the water is warmest. Some pond might even freeze over during the winter and the goldfish still survive through to the spring.Q: Can you water your plants with dirty aquarium water?A: You can water your house plants or garden plants with your dirty tank water. The nitrates and fish waste in the water are a great fertilizer for your plants. Johnson, Erik DR.,and Richard Hess. Fancy Goldfish: Complete Guide To Care And Collecting. Weatherhill, Boston, MA. 2001. Boruchowitz,David. Aquarium Care of Goldfish. T.F.H Publication, Neptune City, NJ. 2008. Brewster, Bernice. An Essential Guide to Keeping Goldfish. Interpet Publishing, Surrey, ENG. 2003. Halls, Steve. Your Healthy Garden Pond. Howell Book House, Foster City, CA. 2000. Sweeney, Mary. The 101 Best Aquarium Plants. T.F.H, Neptune City, NJ. 2008. Ryback RS. A method to study short-term memory (STM) in the goldfish. Pharmacol Biochem Behav. 1976 Apr;4(4):489-91. Carrie Arnold 3-Pound Goldfish Found—How’d It Get So Big?. National Geographic Blog. January 18, 2013. Craig A. Watson, Jeffrey E. Hill and Deborah B. Pouder. Species Profile: Koi and Goldfish. SRAC Publication No. 7201. September 2004. It’s not easy. A betta is a good alternative..even a minnow would be better than a goldfish in a bowl. Do your best to convince them by telling that a bowl with a goldfish will need daily water changes and even that might not be enough to keep it alive. Try to sell them on a 10g tank or anything bigger than the bowl of choice. It would best if the pet store didn’t stock bowla but unless you are the owner, all you can do is give the bet advice you can. Tell the parents the truth, print this useful article and show it to them. Help them buy a colorful Betta for their child, as you mentioned they are really easier to care for as long as they do the proper thing to help them live healthy. I have 2 goldfish (John Cena and Juann) in a nice 3 gallon tank, decor, a small filter and nice led light. And i have a Betta (Lady Gaga) in a 1.5 gallon with filter and light and small decor. They are all doing great and keep me entertained. My grandkids named them. Hello…. I have purchased 3 smaller gold fish & presently they are in 8″ bowl .. For how much days I have to change the water ?? & the water becomes dirty within 3 hours of changing .. Plz tell me a solution for it . I bring a pair of gold fish but I don’t have enough space in my home for an aquarium ,so I bring a bowl of nearly 1L,is it ok or its cause some problem. My son won some gold fish at the fair and brought them home and I went to Walmart and got them the starter kit fish bowl but it didn’t come with a filter so do I have to buy a filter for his fish to survive in a 1gallon starter kit fish bowl? My Goldy not moving much and since morning she did not eat anything.please tell me is she ok or not ?what can I do for her ? Kaitlyn, I just did the same thing yesterday! The helper at Walmart told me only 2 fish in my small gallon size bowl. (Between you and me, as a kid, I had 4-5 fish in one bowl!) I also got the pellets. They are too big for the little guys. I went and got some flakes the next day. I’m curious to hear if yor fish are still doing well now in March? My bowl is a tiny bit cloudy now with a few air bubbles. I’m going to recirculate the water today and see if that helps. I suppose it’s ok if it’s temporary. Be aware that goldfish can potentially grow to be a foot long and need lots of space and filtration to stay healthy. If they stay in a bowl too long it will stunt their growth and they will probably die. Pellets are too big for small fish. Your glass container is fine as long as it is heavy glass and has room for them to grow. So yes I know the tank is too small but with so many anecdotal stories of goldfish surviving in worse conditions than what I have provided, what else should I do? I understand this is a super late comment but should you get a fish in the future. You should NOT change the water everyday. Changing the water causes the goldfish a great deal of stress and fish are very sensitive to environmental changes. You should only be changing about a 1/3 of your tank once a week. You dont want to drain the whole tank and you certainly dont want to change it everyday because you are not allowing the water to promote healthy bacteria that fish thrive on. Also, before putting any fish in you need to “cycle” the tank. This is about a three week process, where you add ammonia each day to promote an enviroment with healthy bacteria for the fish. If you put a petstore fish in a tank that has just been set up, it will ultimately shock their system because they are used to a very stable environment at the pet store, and not the stale water enviroment you put them in. You can find more information about cycling a new goldfish tank on the internet 🙂 Also, do not rinse your plants in tap water. When you have finished cycling it through, rinse the plants in a bucket of the existing test water as to not mess with the balance of bacteria you have created. It should not effect them as long as you put them in a bowl using the same existing water in the tank. Dont put them in new water, even if it is treated because this would be too much of a shock in environment. In the case of using plants to ensure adequate oxygenation, are goldfish sensitive to over exposure to light? I have a fantastic windowsill to ensure light for the plants, but I would worry about the light on behalf of the goldfish. It is indirect sunlight for most of the day, with a little direct sunlight. 10 gal for a FULLY grown goldfish. (Was this research done in a joke book, seriously. If you have kids they’ll need a 4×3 room per child a cupboard is fine if you have only one is the human equivalent) also no mention of the nitrogen cycle anywhere? Tip for readers get off this site and onto another one such as fishlore. Goldfish live for 20-30 years and grow to over a foot (common) and 10-16+ and grow to the size of a softball (fancy) if your goldfish doesn’t meet this size and age you’ve done it wrong there are many small fish that make great tank pets, research, especially the “nitrogen cycle in aquarium” (google it) oh and NEVER keep anything living in a bowl/vase, EVER. Period. common goldfish do best in ponds and in groups of their own kind. Thanks for your input here. We too emphasis the bigger the tank the better. We also don’t recommend the use of a bowl. However people still want to use bowls so if they are going to do that, we want to let them know they have to change the water constantly. In doing so, we hope more goldfish owners will choose to upgrade. There is no mention of the nitrogen cycle in this article because if the water had the time to cycle, all the fish would have died from ammonia poisoning. Constant water changes are a must in these smaller tanks. We will go ahead and update our information to reflect your views and those of a few other posters on this article on the minimum amount of space a goldfish needs. At the end of day, we agree, bigger is better. My granddaughter just won her first two goldfish at the fair. She is so excited and I want to help her keep them. I sit okay to use regular tap water? I have a rainsoft water system and the water is run through a salt filter system. Can i use this water and change it everyday? Worst article ever. If you won or bought a goldfish and can’t afford the habitat that allows for them to be happy, healthy, and want a a new family member that will live for 30 years…..bring it to a pet store, they will take it….and get yourself a betta. Only a betta fish is built to live in a tank less than 5 gallons. Make yourself live in a closet, cause that is what this article recommends we do to fish. Go to live aquaria for better info. I think you missed the point of our article. We don’t recommend the use of a small tank or bowl but rather provide information on what one would need to do if they choose to use a bowl. We encourage these owners to upgrade and discuss the cons of a smaller tank. But yes, if a fish owner can’t provide the routine maintenance, daily in the case of a bowl,they should take their fish to a pet store or give them to someone that can provide the care they need. People, people, people! Do you really think the average family wanting a couple of Goldfish are going to spend the kind of money or have the room to set a system like you’re talking about? And if they don’t, they shouldn’t have Goldfish? News flash. When our kids were young, we bought a 3 gal aquarium and 3 fancy goldfish, or so we thought. Eventually, we upgraded when we found a 5 gal tank at a yard sale, then a 10 gal tank, and over the next 5 years, one died and we watched the other two grow into 5″ Koi fish. In another couple years, the kids left home, the fish continued to live and move and swim and “hunt” the gravel, eat and respond eagerly whenever they saw us until we gave them away to someone who had an small outdoor water garden. The ppl who wrote this are realistic, and as they’ve stated, are just trying to help families who cannot or will not buy what you think every fish should have. Will all the fish live to ripe old ages? Probably not. Would bigger, fancier equipment change that? Maybe, maybe not. Are they terrible, cruel people? Possibly, but not because they don’t provide 5 gals of water for every fish! I thought the article was great. Any animal from fish to snakes – and I’ve had both and all in between. ALL living things brought into a house are the owner’s responsibility and should be treated like the live beings they are. If one cannot care for properly, do not buy it! This is such great advice thank you so much. I was recently badly bullied on a forum for not putting my goldfish in an Olympic size swimming pool. Not everyone has the space to have massive ranks with just 1 or 2 fish in it. “Not everyone has the space to have massive ranks with just 1 or 2 fish in it.” Amen, sister! No one told these goldfish they deserve a mansion so their feelings won’t be hurt when they compare their modest surroundings with those of SOME of their peers or feel abused when they look around their fish bowl or small aquarium. With good care and husbandry, they’ll likely do just fine, and you’ll come to learn by their behavior whether or not they’re okay. Enjoy your fish and do the best you can with what you have means or room to buy! They’ll likely do just fine. So a couple days ago I won a goldfish at the fair and I didn’t realize there were all these special things, I just used tap water for the first time and now I’m worried he might die. I’m gonna leave out fridge water so it gets room temperature but what else can I do so I don’t kill my fish?!?!?!?!!!??!?! Glad u got dechlorinator, what you really need now is a bigger tank & filter. If you cant get a 10 gallon or at least a 7 gallon tank then give your fish & supplies to the petstore. Probably too late, but a water thermometer is something I consider essential and can be bought for a very reasonable price, $2-$3. Early on in our fish keeping, we, unfortunately, found that one of the quickest ways to kill a fish is shocking them with big changes in water temperature (like when you’re cleaning their bowltank, changing their water). Otherwise, what we did before we got a thermometer, was have a covered, food-grade plastic pail full of water. Like a covered ice cream pail (or however many pails you need to refill their tank/bowl) in the same location so it can come to and stay at the same temp as what they’re living in. The easier (and safer) you make changing water/cleaning their home, the more likely you are to do it as often as it needs to be done. Also, if you can’t get a bigger tank, a small, submersible water pump or an exgternal air pump (small submersible pump can be bought on Amazon for $5-$6), will supply them with extra oxygen and keep them happy and active as well as help keep their water fresh for a longer period of time. If you can’t swing that, then just keep their enclosure clean and their water fresh with frequent changes and cleaning. I think you should feed your fish and i think you should clean your bowls out so it is clean so that the goldfishes don’t die !!! 2 NOT 1 SO THE UTHER ONE IS NOT LONLY !!! Hi everyone, i recently got a Fantail goldfish but i am not sure how to keep the oxygen levels in the tank well enough for him, he is at the top of the bowl a lot and it looks like he is gasping. i have a life aquatic plant in the bowl as well, the pet store told me that it would supply oxygen in the water? 3 they are territorial and do ok on their own. Thank you for this info. We will use it to improve our site. We just won two goldfish at a fundraiser and we bought a starter tank with filter until we can figure out what to do. We don’t know anything about fish. We just put regular tap water in it. What kind of test kit or things to add to make the levels right? Hey I recently got a goldfish, I put him in a 1 gallon tank, is that fine? Also he’s got black tips on his fins. I think it’s ammonia poisoning. What food and medicine should I get? Also what’s the best place to get fish supplies? I would really like to keep him alive all the fish I’ve ever had has died from ammonia poisoning. If you could help that would be great, Thanks! I won 4 fair goldfish this weekend. I noticed they all have ripped tails, is this normal for a fish that came from a fair/carnival? The fish I won are all fairly small and I was intending to get a bigger tank to put them in so they’re much happier and not so cramped. What size tank do you recommend? They are currently in a 1 gallon bowl and I was wondering how much to feed them. They also come up to the top of the bowl making bubbles as if they were trying to get air, do you know why this is? A ten gallon tank would be much better for four small goldfish. The rule is 10 gallons per full grown goldfish. A filter is also highly recommend to help keep the tank clean. You can buy a slime coat water conditioner to help heal wounds. You can feed each goldfish 3-4 flakes each twice a day or 2-3 flakes per three times a day. Don’t overfeed them because it will dirty the water fast. The rule is actually 20 gallons for the first goldfish (fancy), and even larger for common and comet types, with an additional (minimum of) 10 gallons for each goldfish after that. Ten gallons is too small for any size goldfish, due to their massive production of waste. I think it appropriate for the admin to do a little research into the proper keeping of goldfish before advising the equivalent of four people living in (and not flushing the toilet of) a single bathroom. I am sure these fish are long gone by now with this kind of advice. We have done our research and can point to a countless number of sources that state the same numbers we have. Please feel free to cite your sources and we will gladly update our information if there is a consensus. Thanks for your input. Its moi again, Jules!! Can you also inform me on how to get Ziggy’s bowl at a warmer temperature, especially with winter coming up?? I know I could just add some hot water, but you might know of another method. I would be quite worried if I were to add hot water and then he goes swimming into it and he could get cooked!!!!!! I don’t want that to happen….we have been through too much!!! just to loose him through my fault. Thanks again for being here and I do hope we hear from you soon. Never! Never ad hot water to your fishes bowl!! This wil not only shock your fish from such a sudden temperature change but the water will also go back to the regular room temperature its at within 15 minutes. This will only result in causing more worse stress then if you had left them in the cold water. A 20 gallon filtered tank for one fancy goldfish is good not best but good and 50 gallon double filter for one common goldfish. Try moving your bowl to the warmest part of the house to keep your goldfish warmer. But goldfish generally like a temperature of 60 degrees. Which is cold compared to the tropical storm 83 degree preference. They actually make tank heaters (found this out for bettas). It goes under the gravel and it’s got settings that are safe for fish. I bought a goldfish 6monts ago and i named it zap. Zap is very happy in his small bowl he swims happily every day. But just recently he developed a small red spot on his tail i am quite worried about it. Zap haant been swimming the same way as he was 4 months ago. I clean the bowl once a week and he has plenty of space to swim in. I was just wondering what the spot was all about. Zap is about 2-3.5 cm long i feed him twice a day. Please reply soon. Hi Again, and thanks for being here. Ziggy is going along swimmingly!! however I am concerned. He noses for his food or leftovers, on the bottom, which is a hoot to watch, but how do you know when a gold fish is happy? and content? I have followed all your suggestions, thermometer reading is at correct temp., air bubbler working all the time, water conditioner added, plants and objects for him to hide behind, but when he is not foraging, he just sits on the bottom. So what or how does a happy, healthy goldfish behave? I look forward to hearing from you. Again many thanks for being here. Cheers, Jules. Google “nitrogen cycle in aquarium” it’s THE most important aspect of fish keeping and aside from myself there’s no mention of it on this page at all (bewildering). If your fish is motionless on the bottom or gasping at the surface it’s a possible sign of ammonia poisoning. In shoaling/communal fish it’s also a possibility that’s it’s bored if you have only one. test for ammonia and look for red streaks on it’s gills. Ruling out poor water quality get him a swim buddy. Oh AND a tank. NOT a bowl EVER. surface area and swimming space are both compromised in a goldfish prison urm bowl. Could you tell me ? Does it need a partner ? What should I do to save rod ? A small bowl is really too small for a goldfish let alone two. Consider upgrading to a larger tank, it will help a lot. Goldfish are social animals so they would prefer to have a buddy. last post was too long for busy peoples, so this time it will be to the point; Do power operated Air Pumps use much power? Can you switch the pump off of a night time, or would that hurt Ziggy!? Also, regarding noise, does high volumn music hurt them? or how sensitive to noise are they? Are Goldfish stressed if they are swimming or darting around their home? Thank you for being here and providing such useful information. Many thanks. I run my filters around the clock. If by air pump you mean a pump that blows bubbles into the water, I suppose if that is your only source of water circulation and agitation, I’d recommend running all the time. the agitation at the surface helps increase oxygen in the water which is important to optimal water quality. You could turn if off at night and most likely the goldfish will be fine but there is a risk of lower oxygen levels in the water which could lead to health issues for the goldfish. Water changes of course are also super important for optimal water quality. In terms of noise, loud music isn’t ideal but it should be okay as long as you don’t have the speakers right up on the tank and perhaps turn it down a few notches. Noise causes vibrations in the water and are sort of amplified as the bounce of the sides of the glass. It can certainly stress the fish. This also why you should avoid tapping on the glass with your fingers. I suggest observing your fish when the music is on and if it looks stressed or acts odd, then the noise level is indeed to high. Hi there, many thanks for all the info. I recently acquired a gold fish, I have named him Ziggy! A girlfriend talked me into taking goldfish off her hands as he was getting to big for her tank. I have a big bowl. So I agreed to said GoldFish. I began to be worried as he looked as if he was struggling for air. I then purchased an Air Bubbler and now Ziggy seems happier. So, now I read that tanks are the better option for GoldFish…so thats first mistake. Since placing the bubbler making device Ziggy seems much happier. Firstly, I am a pensioner so money is tight, so My questions are: Can you tell me if they use up much power and can it be switched off of a night? How would Ziggy cope with that? I think I know the answer but would like to hear from your good selves. I first purchased a battery operated one, but it was so noisy, so went to the power operated one. The package states it is a PS 250 Aquarium Air Pump, made in China (like most things these days!!!) I now know I need to remove some of the water. I have the dechloranting liquid and have used that, when I changed approximately half. I added a little hot water, trying to get about the 24C degree mark. I hope I hear from you soon. Oh, yes he has gravle, and I have heard him noseing at it, I think to eat some of food left on bottom. Quite a hoot to whatch. I also have a plastic tree for him to swim around. Many thanks again. Have a great 2016. Jules aka Julia Pearson….sorry I have rambled a bit!! Throughout this article we recommend that people use 10-15 gallons per fully grown goldfish. We also recommend performing routine water changes to keep the ammonia levels low. I just bought a betta fish. He’s not eating. I give him Betta Bit pellets (that were suggested by the pet store) and he just chews them and spits them out. I’ve had him for 4 days and this is a concerning pattern. Is there alternative food? I have had more success with feeding them dehydrated blood worms and such. The goldfish probably died due to ammonia poisoning. To avoid that, you need to change the water often. You might consider a larger habitat if you can’t keep up with daily water changes. Make sure you have a water conditioner to remove the chlorine from the water. You could also pick up a water test kit. The bowl is too small, do you clean it daily? It’s because bowls are simply not suitable for goldfish. You will need at least a 15 gallon aquarium or about 45 liter and a powerful filter with an air pump. If you want a friend for him it has to be at least 30 gallons, and partners aren’t necessary. It could be a water quality issue. Make sure you change the water often. A water test kit can also help you troubleshoot those issues. My daughter got 2 goldfish for her birthday in a large bowl. I’m afraid they will die. I have never cared for goldfish before. Any basic tips to keeping them alive? You need an aquarium not a bowl, bowls are too small and don’t have enough surface area for gas exhange. Get a 30 gallon aquarium or about 120 liter with strong filters and an air pump to keep them healthy. You will also need to change 50% of the water weekly if you get the 30 gallon. If you don’t, you will need to change 50% daily, so it will save you a lot of trouble by buying a bigger tank, or the growth of your fish will be stunted and wont live very long. An air pump with airstone creat bubbles at the water, which cause surface movement. With more surface movement, more CO2 leaves and more oxygen enters. I had 2 gold fishes in the big fish bowl. Both r surviving well for last 4 months. I am feeding them individually and carefully, always make constant watch on their behaviour. i am changing water every day or sometime in a gap of one day. i hope i am not stressing them in any way. The benefits of constant water changes for outweighs the little bit of stress they might get from a water change. Hi ! I am sarosh ..I’d first time bought two hold fishes 4 days ago….one of them got died yesterday…I couldn’t understand what happened…I put them in a bowl and used feed 2 times aday and change their water 2 times day…the other one left doesn’t looks good she eat food and throw it out…..what should I do ?? You should get dechlorinator drops to remove the chlorine from the water when you change it. You may also consider getting a larger tank since a bowl is tough to keep up with in terms of water changes. The spitting out of the food is a normal thing…the goldfish just might not like that food option. it is ma first ever experience to buy a fish..and i bought two gold fishes in a 8 inch bowl.and i put gravel below. I change water every 3 days. What all things i should further for its bettr life..? Please help me..
read all the articles in this section to help get you started. I thought this was great information! I will definitely will use it as my fish had died. I have a gold-fish and a betta put together in a small bowl with no extra decorations. The betta keeps on chasing the gold-fish and is it good for him like will it keep my gold-fish in stress?? How many times do I have to change the water if a gold-fish and a betta are put together?? Are any extra accessories required for the betterment of both?? Any suggestions will be obliged for..
A betta should not be kept in the same tank with goldfish. You really should have two separate tanks. Bowl water should be changed daily. Decorations and a gravel substrate are good to make the fish feel more at home and less stressed. A water conditioner is also recommended to remove chlorine from the water. Bettas, especially males, are territorial. Hi..this article is indeed a great insight for the beginners..thanx alot.. i seem to have a doubt and i guess its a peculiar case. I have two goldfishes and i feed them twice-thrice daily but the problem I face is that one of them gulps up the entire food without letting the other one to even take a bite, fair share for that matter seems to be a distant thought.. quite a few times i have tried to pacify the bigger one and give the smaller one food but it doesnt take notice and even if it does, shows no interest and before its too late, the bigger one haves it. I am concerned about the smaller one as it has not been eating since 4 days. Kindly help me..What do i do? Goldfish can go over a week or more without eating so there should be no reason for concern there. You may want to separate them for feeding until the slow one starts acting more like a goldfish. You should read all the articles within the Goldfish Bowl section of this site but for starters, change the water daily and use a dechlorinator each time you do that. Also don’t over feed them. They only need a few flakes each per feeding. Do we need to use water conditioner? If you use tap water with chlorine, then yes. My goldfish just stays in one place (the top of the tank)doing nothing. He also never closes his mouth..is this normal? Oh yeah and he won’t eat. It could be that your goldfish isn’t getting enough oxygen or it could be that it’s not yet comfortable with it’s new surroundings. The open mouth probably isn’t an issue. To add more oxygen into the water, you can add a filter or make sure the water temp is cool around 70*f.
My goldfish is always at the top blowing bubbles is it normal? … I have it and a female betta in a 5gallon tank with a filter and a few decorations … Also they both look like they are loosing their scales what should I do? If the two fish get along and don’t fight with each other, the scale loss can be due to an illness or poor water quality. That said though, I wouldn’t be surprised if they were nipping at each other. The water might not have enough oxygen in the water and so your goldfish hangs out at the top. Usually, Betta fish blow bubbles constantly so some of those bubbles can be from him. To add more oxygen into the water, try adding a small filter or bubbler. Also, change the water often to keep the ammonia levels down. My understanding is that some fish make bubbles in a collection in their tank to form a “bubble nest” to put eggs in. I assume this is in preparation for mating even if there is not another fish around. I know betta fish make bubble nests but I don’t think goldfish do that. Lol, I’m not sure if this was a joke or a legit question. If it’s brown, I don’t think it’s a goldfish. Umm but take a look at the section on identifying goldfish breeds. I don’t think you need to worry about the germs if you used clean water in the tank you put it into and not used any toilet water. why would anyone put a live fish into the toilet? Good on you for saving it though! my goldfish only stays on the bottom. why is this. Sometimes my goldfish don`t feel well so I put him in a glass of water and make the water bowl fresh then I put him back in the bowl. Sometimes my goldfish “blows bubbles” at the surface. The bubbles stay at the surface at the edge of the bowl. What are these and why does my goldfish do this? If your goldfish is always at the surface blowing bubbles, it could be a sign that your water needs more oxygen but if it only does it occasionally, It’s probably nothing to worry about. You can increase oxygen by keep the water temp cool around 70*f, adding an air pump to agitate the water surface or add a few aquatic plants. I want to buy one goldfish, but I gonna get a small plastic tank with the coloured cover, is plastic ok tho? Does a fish need pebbles? That’s good that you change the water every other day. If you just have a bowl, if you add another goldfish, you will probably need to change the water everyday. What I would do is buy an ammonia test kit and test your water, if with one goldfish, the ammonia levels don’t get to dangerous levels a day after you change the water, then you might be able to get another one. Honestly though, I would stick to one goldfish for your small bowl. Eventually your goldfish will grow and there won’t be enough room for two. It’s also good that you are not over feeding your goldfish; you are cutting down on waste and in turn, your water will stay cleaner longer. My goldfish is in a bowl and is developing black spots. I just had one die which had the same problem. I change about 50% of the water every day. I feed it every other day, part goldfish food and part veggie, e.g. pea or broccoli. Why the spots and what is the treatment? That could be ammonia burns or your goldfish trying to fight off an infection. Test the water for ammonia and continue your water changes. Also you can try to use a broad spectrum medication to treat a number of bacterial or fungus infections. see the all my goldfish illness posts in the Goldfish Aquarium section. If you want your goldfish to be happy DON’T put it in a bowl, buy a small aquarium for him ! bowls are just too small for a pet, even for a fish. I agree with that statement – bowls are usually too small for goldfish and a tank is much better. However, some goldfish owners do use bowls so I want to help them out by providing the best goldfish care advice I can give them. Like constant water changes and limiting how many goldfish you put into any given size of bowl/tank. Putting a goldfish or any pet in a bowl is just wrong! I have been studying goldfish and fish for over a year by now! Kate ~ Best Reply Here! I have read about goldfish care till I turned blue in the face! Years ago I did no research on goldfish and bought 3 small ones. I kept them in a 2.5 gallon tank and they were so happy! Nobody could believe how long they lived. When I told the girl at pet smart how old my 3 goldfish in a 2.5 gallon tank were she was surprised. There are so many reasons a fish might or might not survive. I’d like to say love but when I was a little girl I had to exchange dead goldfish 3 days in a row, back then they guaranteed your fish to survive the night, and I loved all of them way lots. And no, I did not take them out of the tank and hug them. The pet store helped me to see if the fish had okay water and they did. I did not over feed them. Their death were unexplainable to the pet store owner. So, people need to be more encouraging like Kate! People, there are so many different points of view. Some people can’t help treating things like they are rocket science. Does that mean you shouldn’t have fish because you can not live up to their standards. God bless you and your fish!